​ We were very pleased with the turn-out at the WRDC 2017! It was a joy meeting so many fine Dental Industry Professionals. We are certainly looking forward to attending next year’s conference in Glendale! One of Level 1 Compliance's key goals at the convention was to show the ability of a Citrix™ Solution to render images efficiently; not only on a local network but even when remotely connected. In order to accomplish this we remotely connected (using a 4G Cellphone Hotspot!) to a Carestream™ Server and displayed X-Rays and 3D Volumes for visitors to the booth. This illustrated the clear image display as well as the ability to manipulate and rotate 3D Images efficiently, even on a slower remote connection when your network is properly configured and installed. We set up this demo in a “real-world” manner. This included using a low-cost ASUS™ All-In-One thin client and we deployed the Two-Factor Authentication (2FA) process required by both HIPAA and PCI-SSC. A surprising outcome was the number of visitors to our booth that asked “why are you looking at your cell-phone?” when we were connecting to the Demo. We explained that we were getting the “second factor” required for 2-Factor Authentication. 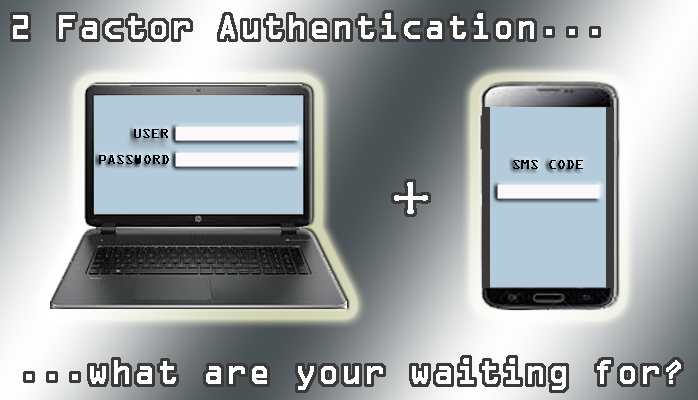 Two-Factor Authentication is a simple concept. It is something that you can and should do right away (in both the practice’s procedures and for any sensitive connectivity you do in your personal life such as online banking.) The Basics: In order to remotely log in you need to provide 2 of 3 things. Something You Have – This can be a USB “KEY” or a randomly generated code (most common) that is provided when you remotely connect to the network. The easiest way to do this is to set up an application on your phone to receive SMS Messages or otherwise provide a randomly generated one-time code such as Google Authenticator TM. Something You Are – This involves bio-metrics such as fingerprints, retinal scans, etc. Certainly more involved. “Am I using Two Factor Authentication Now?” – If you are able to remotely connect to your network with just a username and password, you are NOT using 2FA. If you are required to provide a second item to remotely connect beyond your username & password, such as a text message received on your phone or perhaps you are required to connect a USB Key to the computer you are using, then you may currently be using 2FA. “How hard is it to install 2FA?” – Not as hard as you might think. Depending on you network’s configuration you may be able to make the necessary changes with the equipment and software that you currently have with the minor addition of a service such as Google Authenticator™ / SMS Passcode™. “If the random code is sent to the same device I use to connect, is that 2FA?” – There is no benefit to this type of setup. 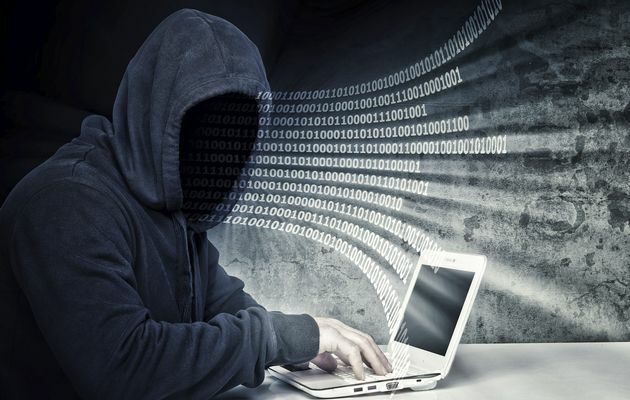 If a malicious individual has gained access to your laptop and is able to receive the 2nd Factor for remote connection, it defeats the purpose. This would not meet the requirements of 2FA. “Will every user at the practice need to enter a random passcode?” – 2FA is a requirement for remotely connecting to your network and is not required when you are physically at the practice and connected to the network. Adding 2FA features does not impact the way your on-site users login. The time to add 2FA is now! Not using 2FA puts your network and customer data at risk. How many points of vulnerability do you have? 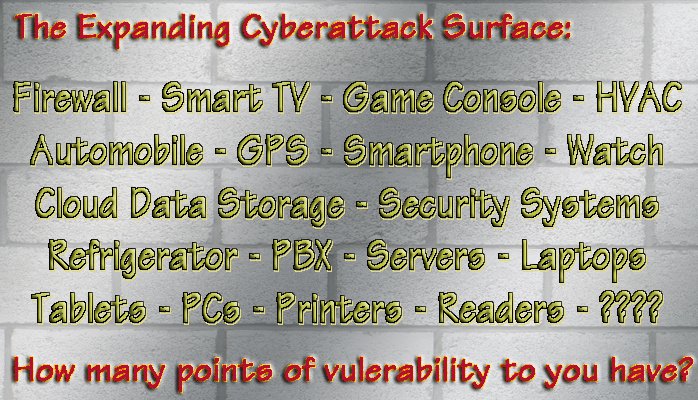 As use of technology continues to expand, the “surface area” vulnerable to attack does as well. It is up to everyone (security professionals, business owners and individuals alike) to act responsibly in their deployment, operation and maintenance of the technology they own and/or use. When you take the current volume of connected devices and data flow into consideration it is obvious why there is such a major need for security! Add the expected growth in technology balanced against the shortage of experienced security support resources; it becomes clear why each of us needs to share in the accountability for security. My family just installed an Amazon Echo™ in our home. This member of the “Internet of Things” is not a device type that I would have ever imagined owning 2 years ago. Even though there may not be vulnerability for this device at THIS time, I’ve still expanded the surface area for attack by adding yet another Internet connected device in our home. Since that time, what else have you added in your personal life (or at work) in the way of technology? Each and every device connected to a network (or the Internet) is part of your “Cyberattack Surface”. Game Consoles, GPS Devices, Smart TVs, Smart DVDs, Smart Watches, Security Systems, HVAC Systems, Connected Refrigerators, Connected Automobiles, Cloud Data Storage, Web Based Applications, etc. are all examples of things you may be using that increase the surface area susceptible to Cyberattack. As a business owner or operator, it’s up to you to be certain that your technology is as secure as possible at any given moment. This is not only to protect your business data, but also to protect the data shared with your business by its clients. As a consumer it’s up to you to make sure that you protect your own data by using it in a responsible fashion, being cautious what you share and with whom AND making certain that wherever you do business (whether "brick & mortar" or online), that the business respects the importance of securing any and all information that you provide. A firewall? Yep, we have one of those! FANTASTIC! With a firewall installed to protect you network at its Internet connection, your company has made the all-important first step towards protecting your company and client information. If your company is part of a larger firm (a National Brand for instance) then you will more than likely receive on-going support for that extremely critical security appliance. If however you are an independent owner/operator then on-going support plans for your firewall and network are an extremely important consideration. Your firewall is NOT "set it and forget it!" As difficult as it may be to accept, at the time your firewall is first purchased, configured and installed there is a high likelihood that someone is determining a way to circumvent the protection that it (the firewall) is intended to provide. Just as with your computer's operating system, your firewall will have periodic updates made available by the manufacturer. In addition, as new threats come to light, the manufacturer of your firewall may provide configuration instructions to overcome them. Anytime you make a change to your network, your firewall configuration must be reviewed to determine the impact that change may have on security. Who is making certain that your firewall is being kept up to date?When you purchase (or upgrade) your company's firewall be certain to address on-going managed support for it. The provider must stay current with the manufacturer's security bulletins and best practices. 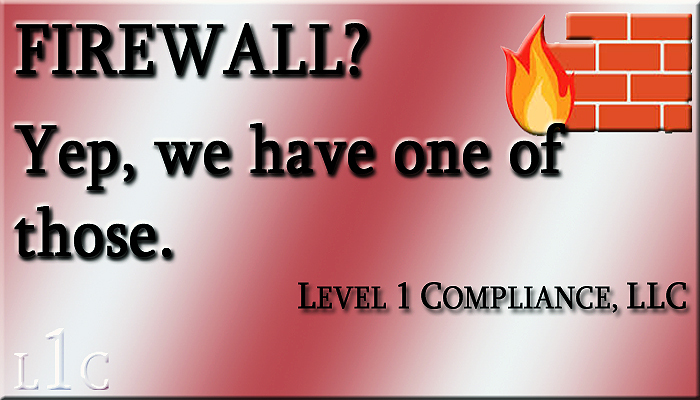 Level 1 Compliance provides Dell/Sonicwall products to our clients. We offer Managed Support and Critical Update services at time of the installation. Your provider should be doing the same! You will of course evaluate the cost for the on-going support. When doing so consider the value being provided with the support (namely the increased level of security achieved by properly updating and maintaining your firewall.) Weigh the support costs against the potential impact of a network breach as part of your decision making process. Level 1 Compliance, L.L.C. provides a full range of technical support with a focus on the Phoenix, AZ metropolitan area. When we have a client with a project that warrants extended travel, we are available for that as well! We provide remote support ranging from standard PC Preventative Maintenance to In-Depth Network Security Scans.